Yesterday, Apple announced that it will be launching an App Store for Mac OS X, modelled after the App Store for iPhone and iPad. It will be available 90 days from now and we believe it will be a game-changer for several reasons. Why? Because it maps a very successful concept from the handheld world to the world of the personal computer (yes, the Mac is a PC…), and it translates very well. 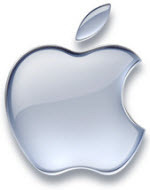 Apple is the payment proxy, which makes payments easier and safer for users. Developers don’t have to handle payments, and users get a streamlined way to pay for apps. Yes, developers have to give Apple a cut, but that should easily be compensated by increased sales and sheer convenience. See the next point. Easier, safer payments = more app sales. People will buy more apps since there are less obstacles in the way (perceived or real). It’s just one click. Easier to find the apps you want. Instead of having to go through the entire Web, you can search in one place. This of course provided that the Mac App Store will be widely adopted, but we think it will. Added exposure for apps, especially quality apps which will climb to the top. Users will effectively be voting with their wallets (or downloads, in case of free apps). A central, standard mechanism for updating apps. This is more of a biggie than people maybe realize yet. It’s an elegant approach and should simplify the process of keeping every app on the Mac up to date. Automatic installs. Installing apps is very simple on the Mac, but the user still has to do something. Now even that extra step is removed. The value of convenience shouldn’t be underestimated, and it’s highly likely that this added simplicity will boost the number of apps that people choose to install, because it’s never a bother. In-app purchases. The iOS App Store has support for in-app purchases, so we assume that the same will apply to the Mac App Store. This opens up a whole new market for additional content and plugins for Mac OS X applications. And it’s still your Mac. If you want to sidestep the Mac App Store, you’ll be able to do so regardless if you’re a developer or end user. But why would you want to? The key word here is convenience. All in all, the Mac App Store will make life easier and safer for users, which is also a win for developers and will lead to more apps being sold and downloaded. In other words, it’s a win-win situation for everyone (including Apple, of course). Actually the only OS which has no app-store, and therefore pushes people to find their software on the web, is Windows.